It was a beautiful day on the water today. 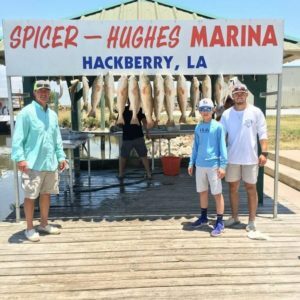 This was not the first trip for this group, but every time they come to Lake Calcasieu, they load the boat. 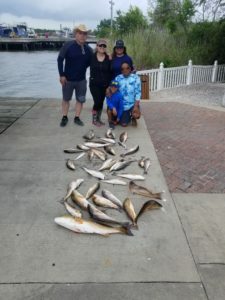 David, Dariela, Daniel Matias and Melissa caught big starting with a first cast hook-up! 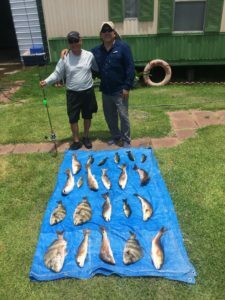 Jesse and Gill enjoyed a beautiful day of fishing and caught a nice mixed bag . 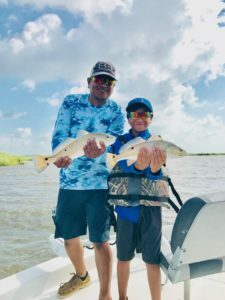 The Redfish are big and hungry. Sean and Jon caught some really nice ones and will go home with some big bags of filets. It just doesn’t get much better than this. 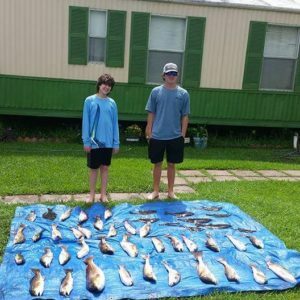 To take these young men out fishing and to catch the fish we did was just a total pleasure. 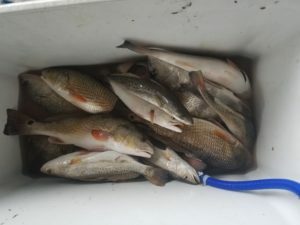 We ended up catching a nice box of fish before our trip was cut short by soaking storms. 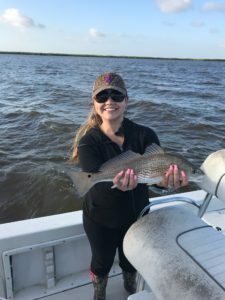 Had a blast out on the water. 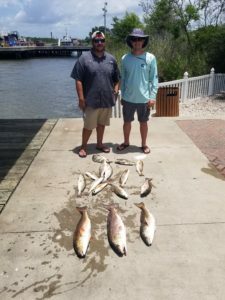 We loaded the rack at the marina with Redfish!